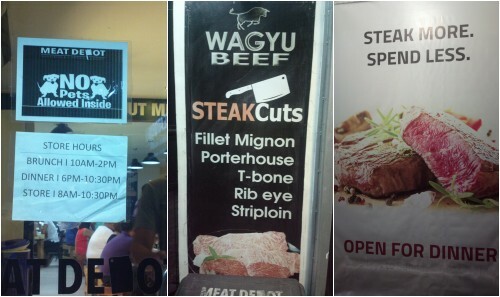 Home / BF Homes / Food / Local Places / Meat Depot / Parañaque / steak / Travel / Choose Your Own Steak Cuts at Meat Depot! Choose Your Own Steak Cuts at Meat Depot! 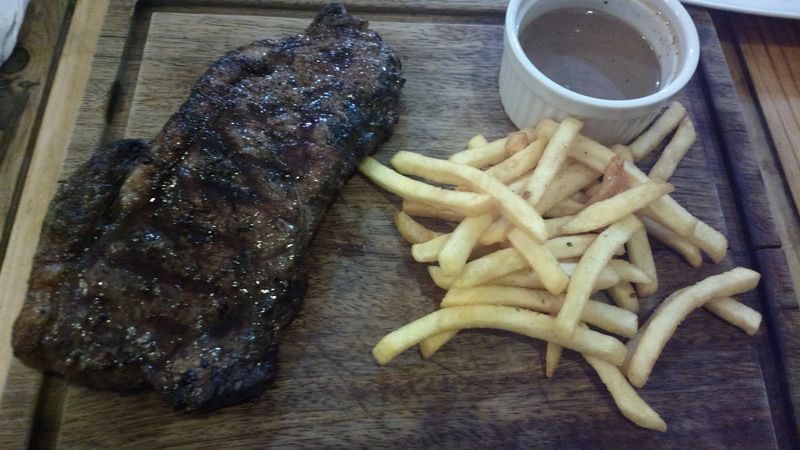 Craving for meat and steak? Worry not, meat lovers from south of the metro! Head over to Meat Depot, choose your own steak cut, pick how it's cooked, have a side dish, pick a sauce, and add a drink. You may also order the soup for the day and dessert. 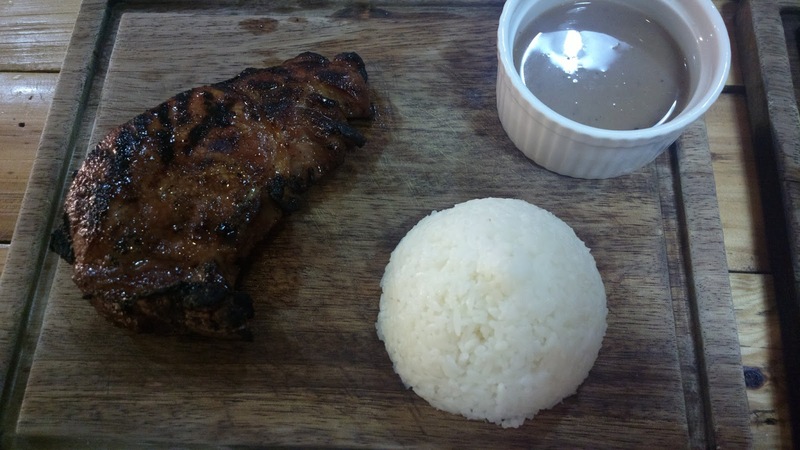 Meat Depot is located in 283 Aguirre Ave., B.F. Homes, Parañaque City. You might want to add chicharon to your meal. This is served before the meat is. And now, the awaited meat! This is the beef (Angus beef) with fries on the sides and pepper sauce. This is the grilled salmon dish with fries on the side. I love the creamy dip! 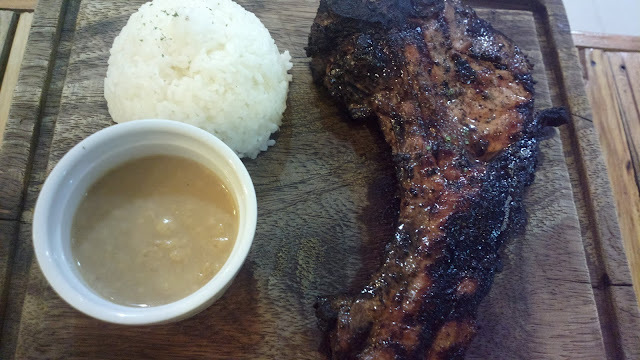 This is the runaway winner among all dishes; the grilled pork chop with rice on the sides and mushroom gravy. Meat Depot also sells meat in wholesale prices. One section is for dining while the opposite side of the shop is for take home meat. These imported meat are sold at incredibly low prices compared with local meat products sold. For more information Meat Depot, visit their website www.meatdepot.ph or their Facebook page www.facebook.com/meatdepotph. 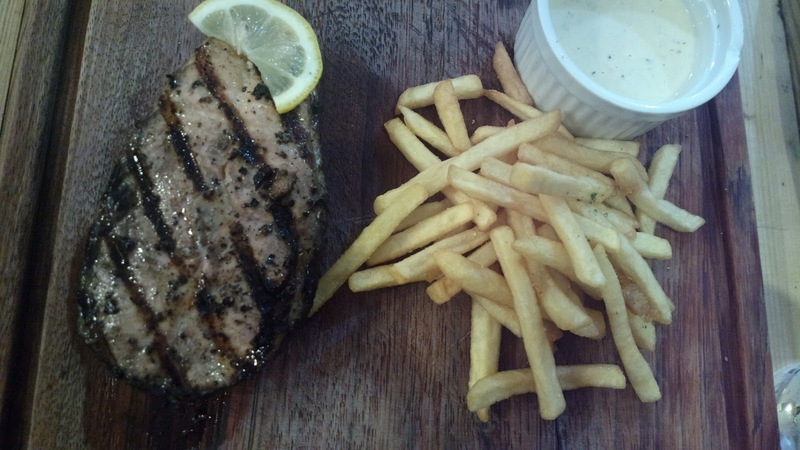 Just settled for the best selling pork chop. On their display cooler, there were only a few packs of pork chop left at around 10 PM (an hour before closing). The meat was actually smaller prior to cooking. 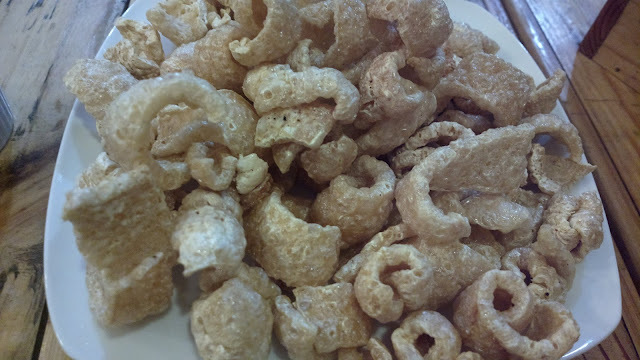 It seemed to have expanded instead of shrinking after it was cooked. On this separate visit earlier this year, there's a notable change on how orders are taken. You can choose everything from meat cut, cooking style, sides (rice, mash potato etc. ), sauce, and more as soon as you enter. This makes waiting time shorter (I hope) since you can already submit your order even before you get seated. That becomes a problem though if there are no seats available, specially during busy hours. As for the menu, there are more items (meat cuts in particular) available for dine-in and through the mini-meat shop market. I've seen that expensive, luxurious foie grass on one of the shelves one time. Foie grass is a specialty duck or goose liver fattened. 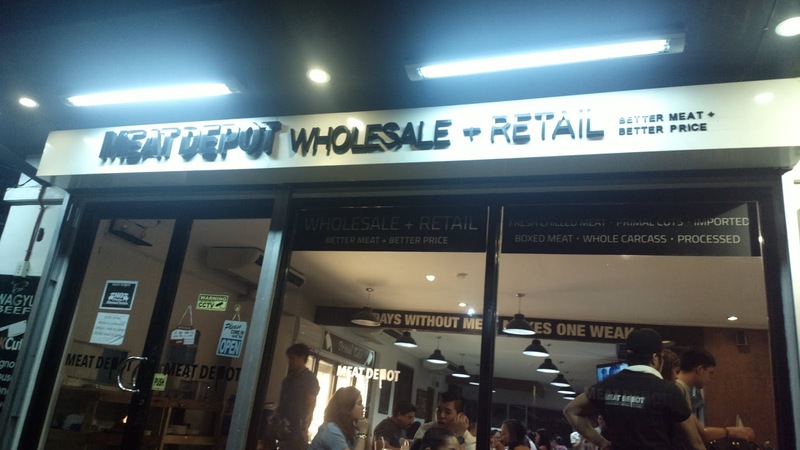 Meat Depot is located at 283 Aguirre Ave, Parañaque City. They are open from 8AM to 8PM for the market shop and 10AM to 10:30PM for the restaurant. 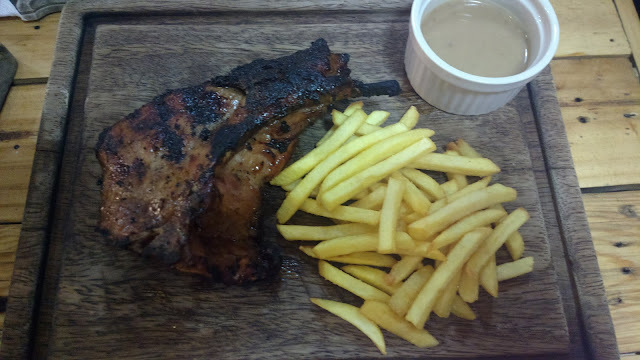 More details including other branch locations are available through their Facebook page: https://www.facebook.com/meatdepotph/ .